Some traditional woodworkers really prefer using all wood hand planes or transition planes (hybrid: metal plane w/ wooden sole). Some people use them because they love the traditional appearance. Some love them because of the unique feeling in their hands. And some love them because they are lighter than metal or transitional hand planes. Most traditional woodworkers love them for all of the above reasons. But even if you use metal hand planes, chances are that you are still in the market for wooden molding planes, beading planes, etc. 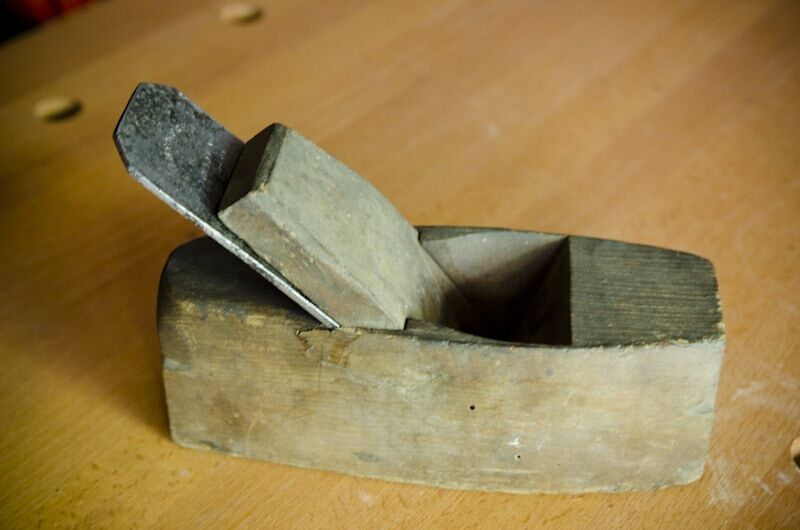 Some incredible reproduction wooden hand planes are on the market today. Here is one great company that makes them. But due to the time involved in making wooden hand planes, the prices are pretty high. 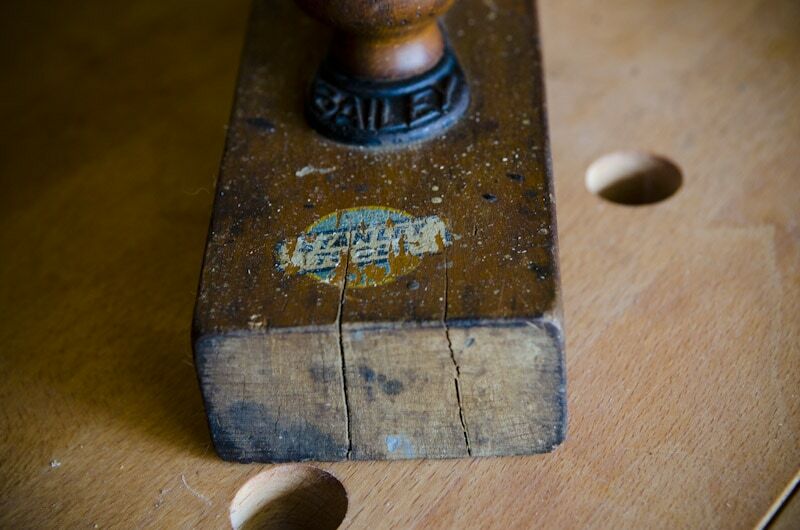 Cracks & splits are the most common problem to avoid on old wooden hand planes. Closely examine the plane’s body (especially the heal, toe, and sole) for cracks. Handles & totes can be replaced (if it’s worth your time) but the body of the plane cannot. Just walk away from wooden hand planes that have major splits & cracks. Box wood strips on the bottoms of molding planes and beading planes have sometimes separated from the plane’s profile, and can greatly affect the accuracy of your cut. 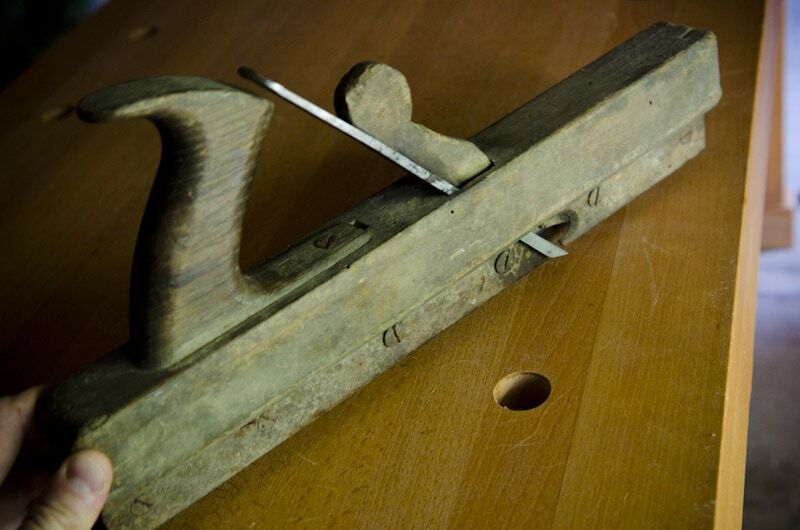 Traditional wooden hand planes are usually adjusted with small taps of a hammer or mallet. 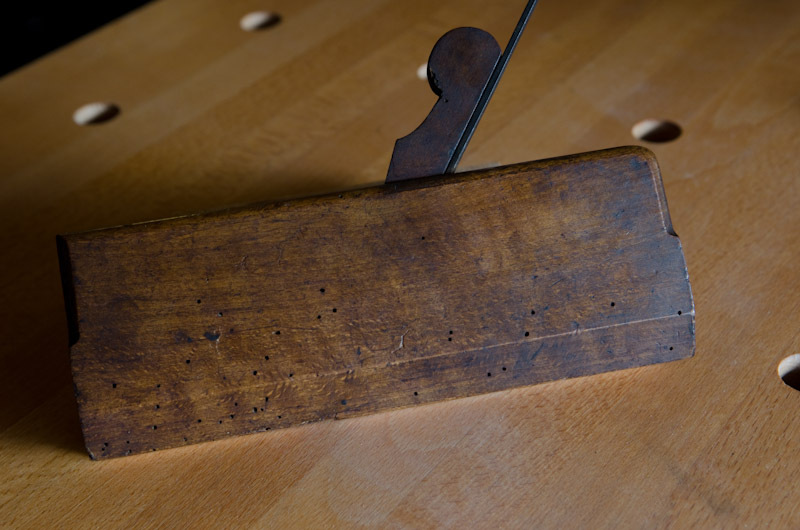 This has left many vintage hand planes with a “mushroomed” heal, toe, or wedge. This problem doesn’t always affect performance, but can reduce the aesthetics of the plane…which might be a good thing if you’re purely interested in function. Old wooden hand planes, especially longer jointer planes, can be tested with a straight edge (see my straight edge making tutorial here) and winding sticks. If laying the straight edge along the sole reveals serious warping, then you probably can’t plane or sand it flat. If the sole’s warp or wear is minor (which is typical) then you can easily remedy it with a flat surface and sandpaper (or another plane). If your winding sticks reveal that the plane is seriously twisted, then you should probably look for a different plane. Minor twist can be remedied. If you’re interested in learning more about wooden hand planes, or building your own, check out these resources. Make sure that the iron actually fits the wooden hand plane. On molding planes make sure the iron’s profile matches the profile on the bottom of the plane. Joshua, I want to thank you for your work on this website. I am a GC in the Dallas area now but my father started me as a carpenter apprentice when I was 18. I was very fortunate to have worked with many master carpenters early in my career. I still have all of my older tools in a wooden tool chest many years ago. I am now interested in making moldings with moulding planes. Could you point me in a direction of some video showing how to do this. Also can you recommend some moulding plane manufactures. Thanks again.